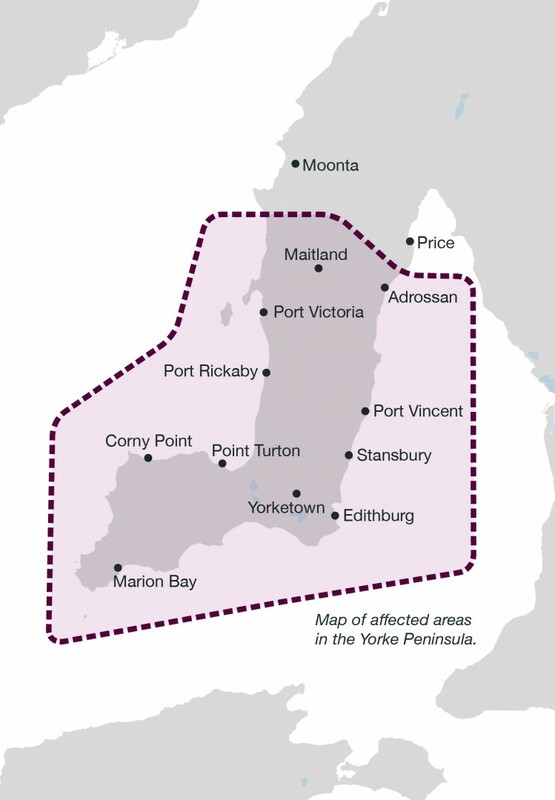 ElectraNet advises that a planned outage will take place on Sunday, 7 April, which will temporarily interrupt electricity supply to townships on the Yorke Peninsula. The outage, which coincides with the end of daylight saving, will occur from 3am to 11am Australian Central Standard Time (or 2am Central Daylight Savings Time) and affect towns south of Ardrossan, across mid to lower Yorke Peninsula (see below map). During this time, ElectraNet will undertake essential maintenance works on the 132,000 volt transmission line between the Hummocks and Ardrossan West substations. For the work to be completed safely, the transmission line must be switched off. Affected businesses and households will receive written notification of the temporary outage from SA Power Networks. ElectraNet apologises for any inconvenience caused by the need to interrupt supply while this essential work is undertaken. For further information on power outages, register at bit.ly/SMSupdates for SMS updates from SA Power Networks.